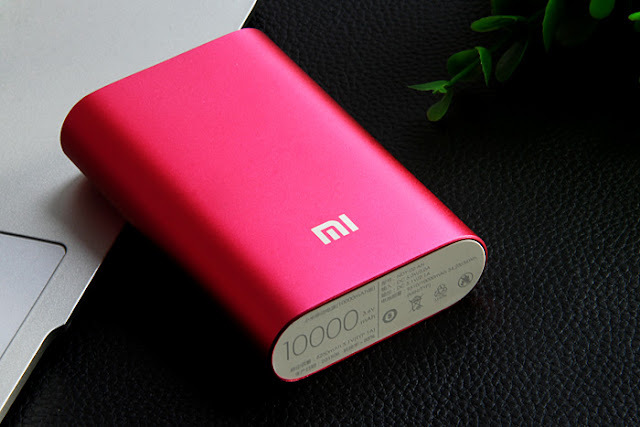 This is a nice and portable high capacity 10000mAh power bank from xiaomi with a long lasting battery and fit perfectly in your pocket. It can automatically adjust the output power making it able to meet the cahrging demand of both Tablets and Mobile phones. You can buy this powerbank from Gearbest.com for only $17.94, that is upto 55% discount with free shipping. Mainly Compatible with: Apple, HTC Droid DNA,NOTE,SAMSUNG,MP4,GPS,HTC 8X,HTC,Blackberry,Samsung Galaxy S3 I9300,Galaxy Note 3 N9000,Samsung Note 5,Sony Ericsson,iPod,iPad,iPhone 6,iPhone 6 Plus,iPhone 6S,Nokia Lumia 920/820,Google Nexus 4/5,Samsung S6 Edge Plus,Samsung Galaxy S5,iPad Air,PSP,Tablet. High density battery chip, body volume decreased 21.4 percent:Introduced the latest battery technology, adopting the original custom batteries with high density from panasonic / LG and other international first-class suppliers, energy density up to 735 wh / L. It can be used to charge the XiaoMi Note device which owns the top version for 2.1 times. ● 5.1V 2.1A USB output, quick charging 2.1A current output, ensuring the emergency charging needs for its fast charging feature. ● Up to 93 percent conversion rate. Adopting the world's top chip not only for safety, it also can effectively improve the charge conversion, providing stable discharge voltage. Meanwhile, achieving high precision resistance capacity of the device. Much better than ordinary mobile power charger, durable in daily use. ● Consistent the surface technology with MacBook Pro Precision CNC cutting technology, forming an integrated metal shell. The structure of high strength, resistance to collision. Its surface can prevent sweat corrosion resistance, suitable for carrying anywhere. 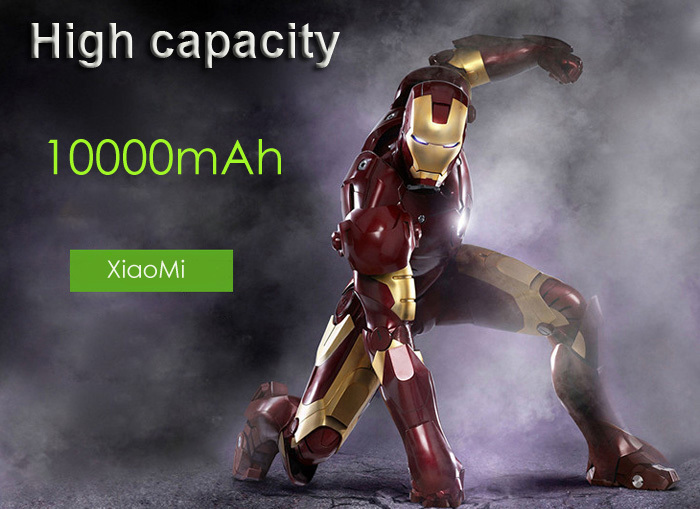 ● Automatically adjust the output power, meeting the tablets' charging needs XiaoMi mobile power supply according to the charged devices, achieving automatic output power adjustment. Fully compatible with XiaoMi, Apple, Samsung, HTC, blackberry and other mobile phones as well as Google tablets. Meanwhile, it can charge the battery for part of the digital cameras and handheld game consoles. It has a full aluminum alloy metal shell surface, the kind of surface technology used in Apple MacBook Pro. This makes it very comfortable to hold in the hand and looks appealing with only 60.4mm in lenght. 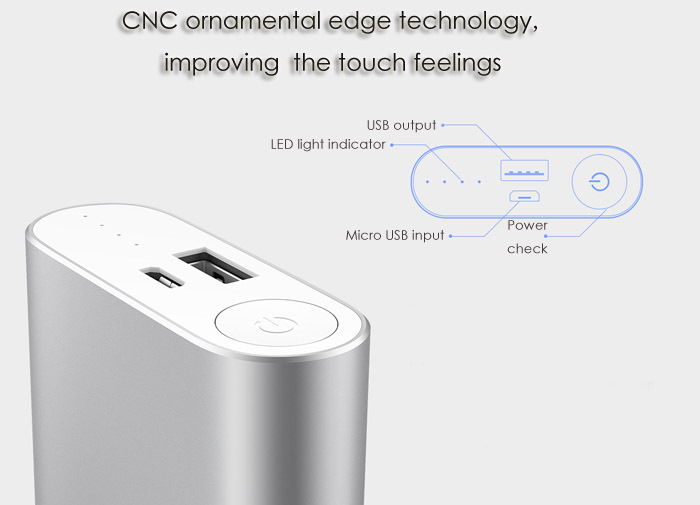 At the Front of the powerbank you will see a power check round button, led light indicator, a micro USB input and a single USB output. At the bottom there is a little details about it capacity and other information. It can effectively provide stable discharge, achieving high precision resistance capacity of the device. This is more better than ordinary mobile power charger and durable in daily use. 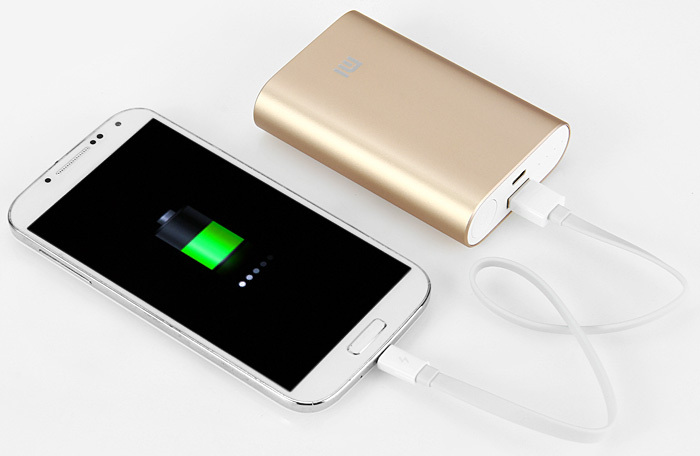 XiaoMi Pocket 10000mAh Mobile PowerBank is available for worldwide use, you can buy at a Discount price of $17 at GEARBEST.com Online store HERE. They are one of the best and trusted online store and they can ship /send your purchase items to anywhere in the world, shipping is also free Via Flat Rate Shipping.